My first look at the amazing Yosemite Valley. Our drive to Yosemite commenced the following morning. We stopped for an orientation in Mariposa, CA [Gerry remembered it as Cucaracha!] and got some good advice about entering the park early in the day – and to expect long lines as this is the busiest time of year – although it is not the best time of year to visit. We arrived in Yosemite Valley about 1 pm. It was hot in the valley but excitement and expectations were so very high that the heat was nothing to us! We finally found a parking lot where we could leave the car for more than 30 minutes. From there we walked. Nearby were the Yosemite Falls. Just as the books said, the upper falls were just a trickle at this time of year. Yet I recalled the words of John Muir as I watched the water fall splashing on intermediate outcrops and then reforming into a stream as it tipped over another ledge on the way down, only to repeat the breaking apart and reforming again and again. Part of the fascination is that there is no rhythm to the fall – no coordination – just endless new combinations. 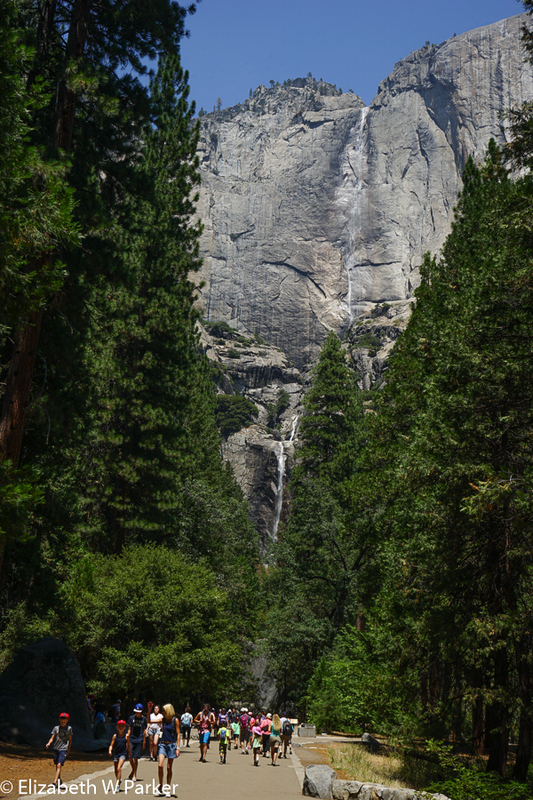 These are the Yosemite Falls – tiny rivulets at this time of year. Waterfalls are wonderful, but we also had ROCKS. Rocks are fantastic all year ‘round no matter the weather. Did I say they are big rocks? They are mountains (literally!). I don’t mean mountains of rock I mean a single rock is the size of a mountain. 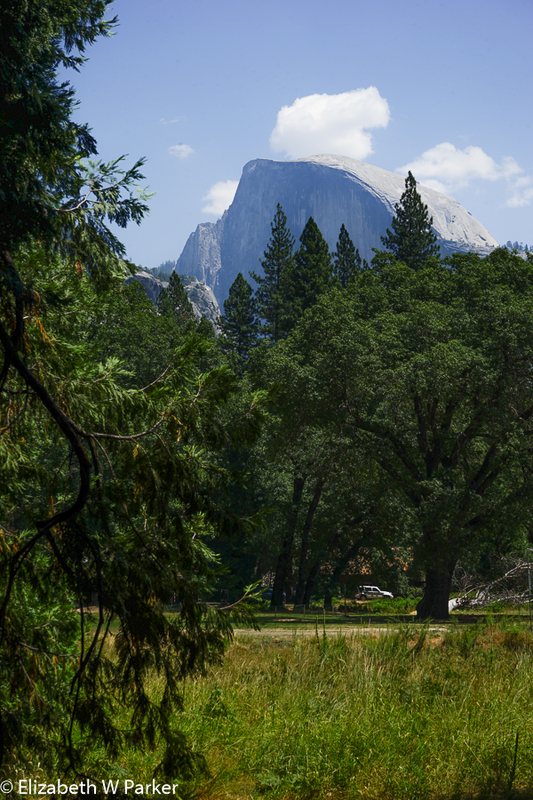 They are called domes or peaks or whatever cute catchy names they have been given (“El Capitan,” “Sentinel,” or “Half Dome”) but each of those appears to be a single, monolithic piece of granite. It is hard to describe how amazing these rocks are. Majestic is the word that came to me, but only when you think of majestic in the sense of majesty, of something so far beyond common that there is no other word for it. They are imposing, inspiring. It is a humbling feeling to be here, dwarfed by forces of Nature so huge and so old that we cannot even comprehend how huge or old. The Valley is a wonder in every direction. The only thing that mars the spectacle is the horde of visitors. Fortunately, most people are cheerful and happy, inspired to an otherworldly good nature that must spring from the awesomeness of the surroundings. A crowd frenzy of a good sort? And, they have come from all over the world to see this! Later in the afternoon we left the park to drive to our hotel which is northeast of the Valley, just beyond the entrance called the Big Oak Flats Station. Our hotel is Rush Creek Lodge. It is brand new (opened in early to mid-July). Evidence that it is not quite finished is all around – no landscaping, housekeeping operating out of a couple of semi-tractor trailers at the entrance (an eye sore), very poor maid service and mediocre dining. However, for all this we were given a 15% discount… On the plus side, the rooms are very large and comfortable; Ours faced toward the woods. The alternative was toward the pool which was raucously loud most of the time. Even though it was quieter, there was no view, the land still scared by the construction of the buildings and many broken and discarded, albeit natural, items left behind. The resort is very beautifully designed. The large pool is in a huge semi-circle of buildings, one side guest rooms and the other the tavern and the restaurant. The public areas are very attractive, too. And a long narrow fire pit was lovely at night and definitely caught Gerry’s attention each time we passed. 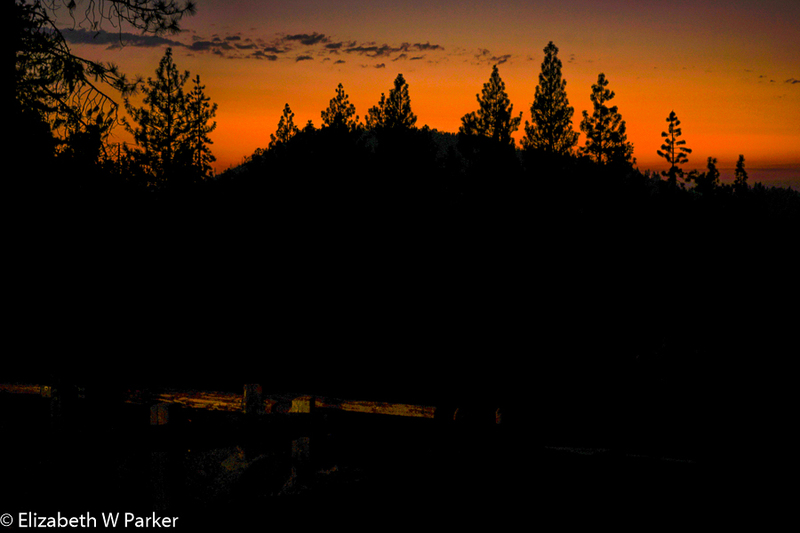 Sunset in the Stanislaus National Forest. Later I intend to tell you about why these trees are burned. 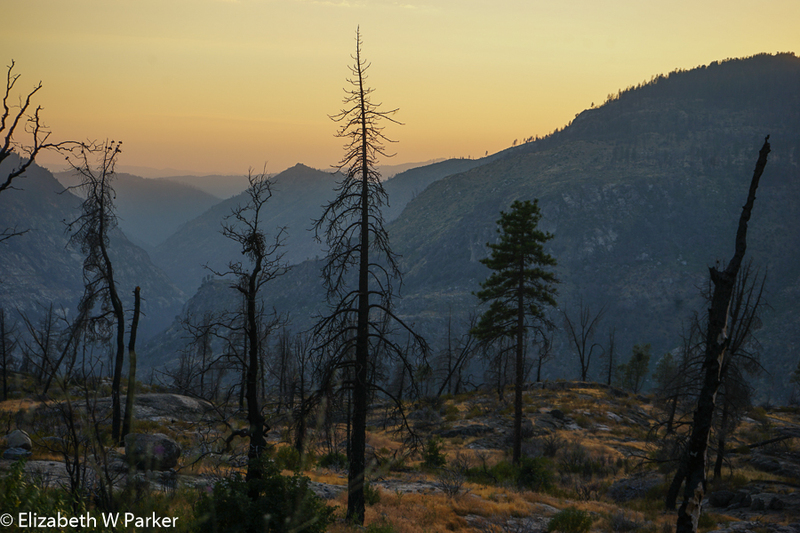 Hint: The “Rim Fire” of 2014. 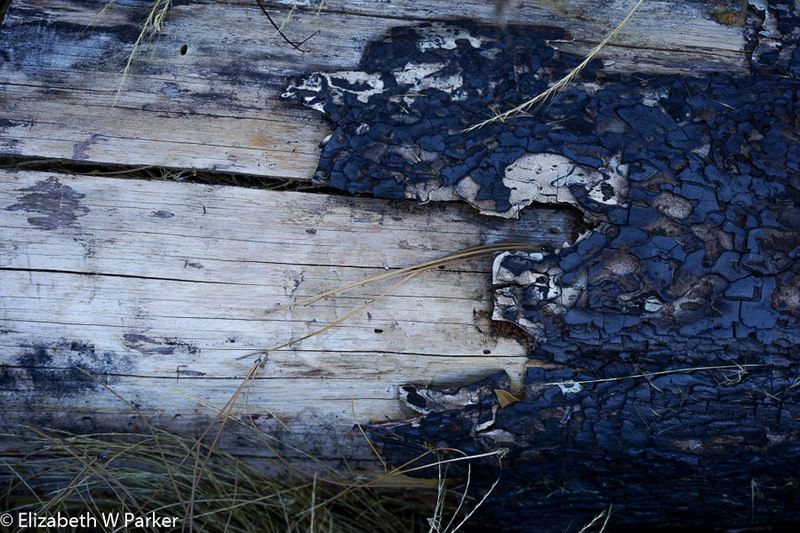 Blackened bark contrasts with the bleached wood revealed beneath. Scars of forest fires. campground along this route, where people and children were often crossing the road. 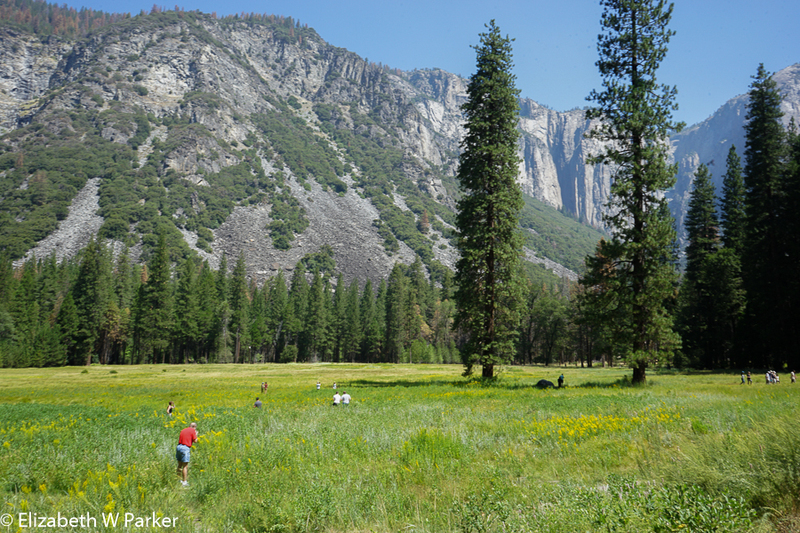 When we finally arrived at the entrance station to Yosemite (the Park), the ranger turned us back. He said it was a 20-minute drive in to see the reservoir and another 20-minute drive back out, and as “law enforcement” (his words) would start pushing us out at 8:30 there was not enough time for us to go in and see it. That was a disappointment because the drive there was not short to begin with. However, we turned back and took some sunset sky shots on the way back to the hotel where we had dinner and went to bed. Yosemite). Today we drove the road and explored as far as the Tuolumne Meadows, at least an hour away if you make no stops. We did stop though! We stopped to take pictures at Siesta Lake (a calm little lake nestled in the trees next to the road), at Olmsted Point, at Tenaya Lake and at Tuolumne Meadows, where we left our car to take a walk. Olmsted Point is named for Frederick Olmsted, the same landscape architect who you will have read about in The Devil and the White City about the Chicago World’s Fair of 1893. The view from there is incredible! You can see Half Dome from the side. Facing it is Cloud’s Rest. The trees, the valleys, the monumental rocks – it is all so captivating. A day’s contemplation would never satisfy all that you could see from this single spot. The landscapes in this park are monumental. As Muir said “…wonderful in a place where everything is wonderful…”. I felt I needed to spread my arms and drink in the sky. I was moved to tears. It was a exceptional moment of exhilaration and rejuvenation. From Olmsted Point we could also see Tenaya Lake sparkling in the hazy distance to our left, but the boulders in front of us claimed our immediate attention, so we clambered down a path strewn with erratics. (New word for me this trip! An erratic is a boulder, rounded by being rolled around by a glacier, and then, willy-nilly, left behind when the water evaporated. There it sits – with no context – and perhaps, very far from home.) From our edge of the valley, the world stretched out far below. We are anchored in the void only by the mountains on either side. We arrived here at 7:00 am and I took this photo of the parking lot. As photographers we are used to getting up and out early, and this is the way we are rewarded: This, an empty parking lot, and photographs without people in them. Even if you are not a photographer, get up and out early when you visit the national parks. I know you are probably on vacation and want to sleep late – but focus on an afternoon nap ethic for your vacation instead of sleeping in. You will be so thankful you did. The huge spiritual lift that you can get from Nature just isn’t the same when you have to share it with a crowd of hundreds, squealing and jostling for selfies in front of the amazing scenery. We were able to sit and absorb the panorama all alone for 15 or 20 minutes. Our solitude was broken only by a single individual who was hiking over the Point on his way to another location several hours away; here was a person who embodied our appreciation for this place. Tenaya Lake is a lovely, tranquil, serene lake with scintillating scenery reflected in its calm waters. (I am running out of adjectives!) We were here for a while taking pictures, our company just the campers from the campground. [There’s a way to make sure you see the park in the early morning: Camp overnight, if you can get a space!] We were there early but later in the day it really comes alive with boaters and swimmers and sun bathers. They add a lot of color to the otherwise natural green and browns of the wild landscape. Tuolumne Meadows with the Cathedral range in the background. 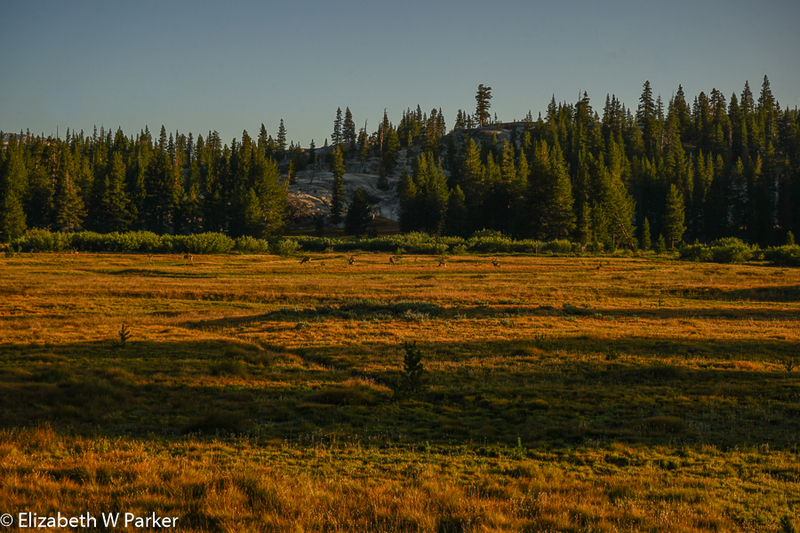 The Tuolumne Meadows are colorful (more so tomorrow morning!). They were not filled with wildflowers for us (a feature one could hope to find in July) but the grasses and sedges, the shrubs and trees blanket the meadow with colors. Here I learned about meadows! What I thought was a generic word for an open grassy space with flowers can also be a term used for a particular ecology. A [perpetual] alpine meadow is characterized by being wet and marshy in the spring time, due to melting snow, and filled with sedges, flowers and other small plants, but no trees. The wet spring soil is not favorable to trees. 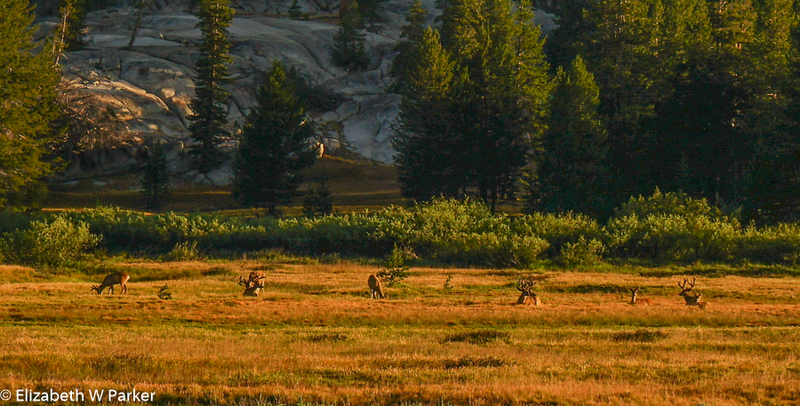 The Tuolumne Meadows is the largest sub-alpine meadow in Yosemite. Here we took a walk part of the way along a loop hike (because of where we parked our car. If you leave your car at the Visitors’ Center here, you can make the full loop). We walked the part with the Soda Springs (very odd), the Parsons Lodge, and the Tuolomne River. The Soda Springs are very odd, as I have said. The area around around them is pretty devoid of plants – though I am sure there are plants that survive in that water … somewhere. The ground is a very dark red color and there are rings of white (what you would see if it were salt). You can see bubbles coming up through the shallow water indicating that the spring is in action. There is also an historic structure, built by John Baptist Lembert (of the Lembert Dome), a roofless shed which protected some of the stronger springs from being fouled by livestock. Though the springs are called “soda springs” all I could find out about them was that the water is filled with dissolved sodium salts, mainly sodium carbonate. I could not find out what good it served…Somewhere I read that you probably do not want to drink it because of the taste. Walking further you come to the Parsons Lodge. Not in any way clerical, the building is a memorial to Edward Taylor Parsons­, built in 1915. 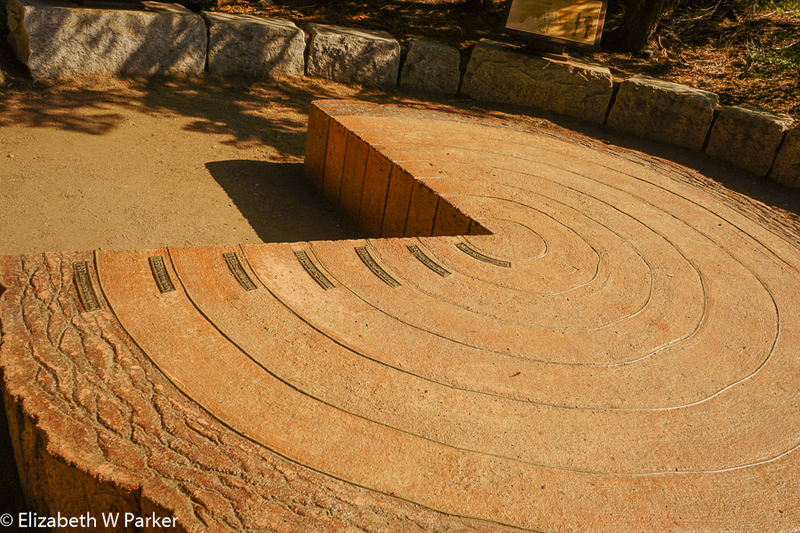 Parsons was a contemporary of John Muir and fought against the construction of the Hetch Hetchy dam with him. He was the director of the Sierra Club from 1904 until his death in 1914. The cottage is on the 160 acres that Lembert owned in this area (they were within the Park boundaries). His heirs sold the property to the Sierra Club in 1912. (It was turned over to the Park Service in 1976). The cottage is now used for research and meetings. It is the oldest stone building in the Park and historically significant for its construction, which was perfectly suited to the harsh winter conditions in this part of the Park. Both the cottage and the springs’ enclosure are on the National Register of Historic Places. 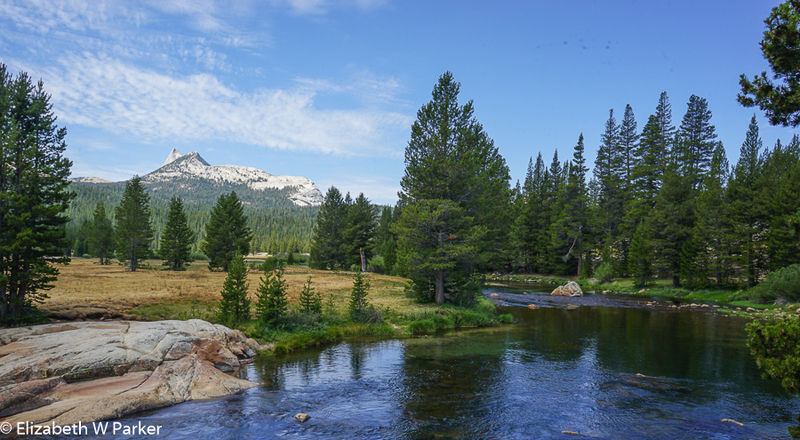 Tuolumne River in the meadow of the same name. Turning away from the cottage, you look out over the meadow back toward the Visitors’ Center. 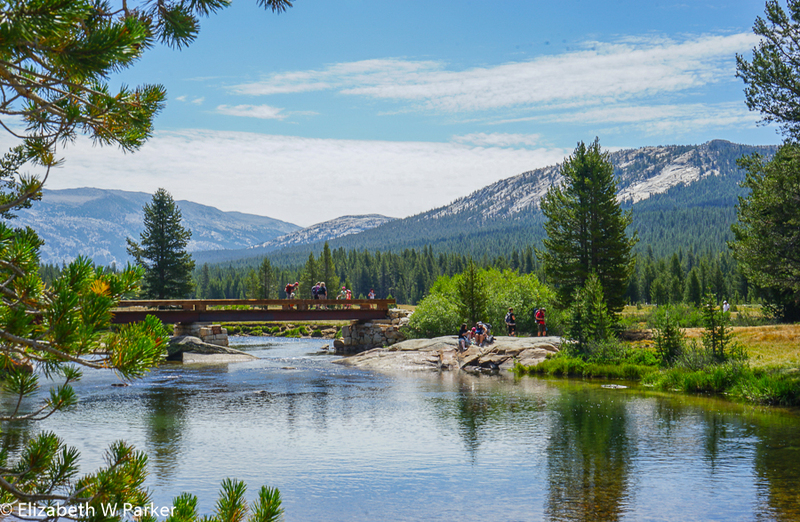 Between you and it is one of the most beautiful sights I saw in the park, the Tuolumne River wending its way through the meadow. A rock outcrop at its edge and a wooden bridge complete the absolutely picture perfect scene. Incredible eye-candy yet again. By this time, it was noon, (already an hour later than we planned to stay out) so we headed back to our hotel, the drive would take nearly another hour. 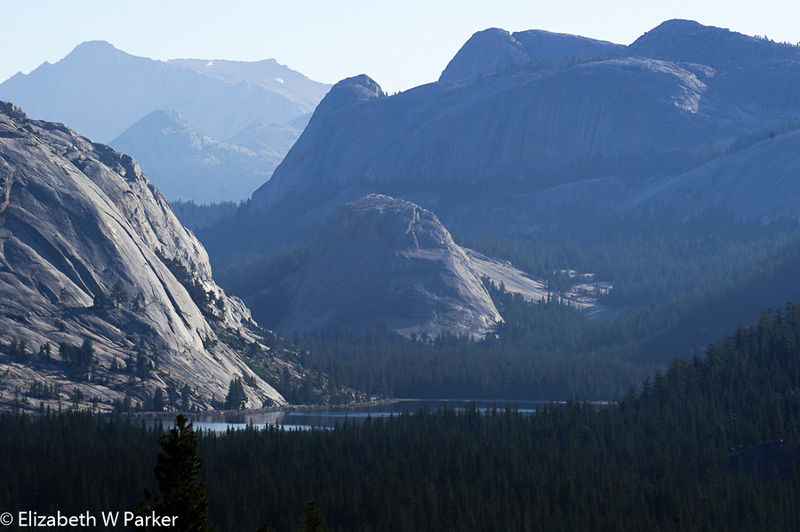 We were amazed when we drove back past Olmsted Point; now the parking lot was overflowing! We were there at 7 am with about 5 other cars! We wanted to stop at the Tuolumne Grove (quite near our end of the Tioga Road) to see the giant sequoias, but there was no parking available. We skipped it for now and went straight to the hotel. We bought sandwiches at the store in the hotel and ate a picnic lunch in our room. After a rest, we were back in the car again at 5. I vowed that tonight we would make it to Hetch Hetchy in time to see the sunset! Do you see that white scar on the landscape? That is the dam that creates the reservoir at Hetch Hetchy. Yosemite Valley. 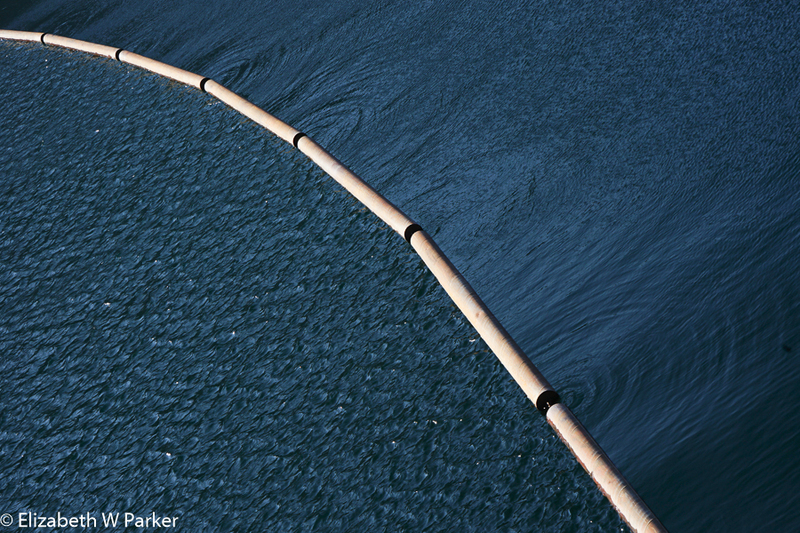 This is what is drowned at the Hetch Hetchy reservoir. 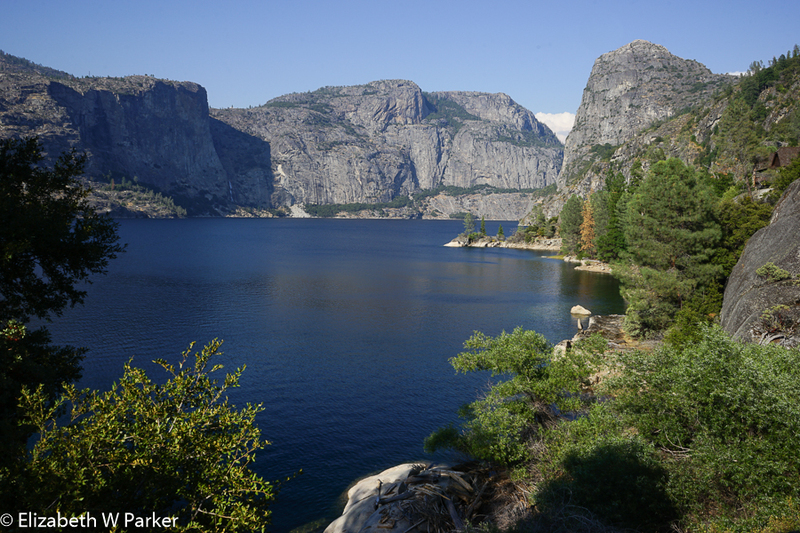 Remember the granite cliffs when you see the picture of the reservoir at sunset…175 feet of the Hetch Hetchy Valley is underwater. 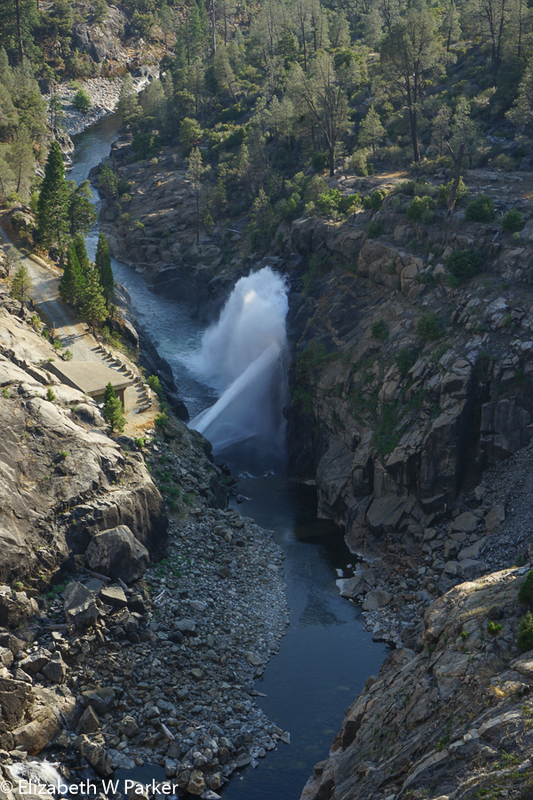 Hetch Hetchy is the site of the reservoir that John Muir and Edward Parsons fought against so ardently and eloquently. They lost that fight, and thankfully did not live to see the further desecration of the area by the raising of the dam another 38 feet. This is the water that is irrigating all those fields in central California! 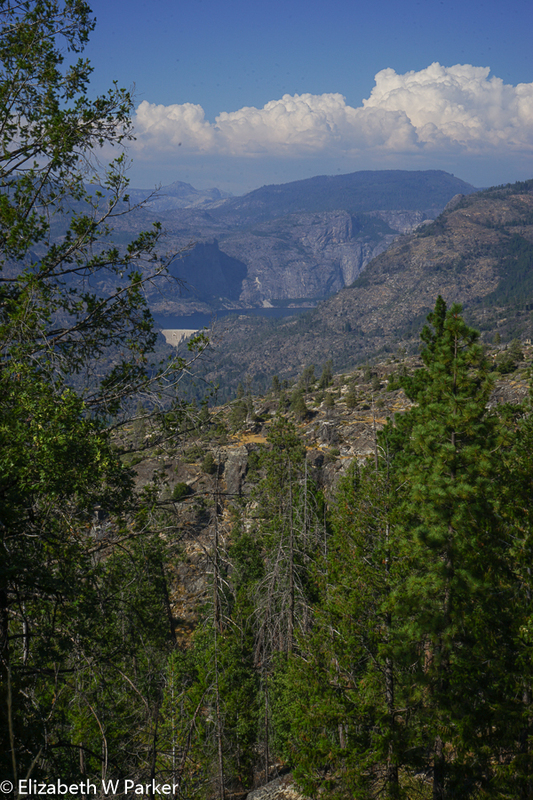 I went to Hetch Hetchy with Muir’s words strong in my mind. I read that chapter of his book on Yosemite during my “nap.” It is really hard to imagine what Muir saw: He compared it to Yosemite Valley, saying it was like a twin. Now, there is nothing here to see. do not allow it on our watch! Adding insult to injury, is the propaganda you’re given when you enter the Park here, propaganda touting the great cooperation between the National Park Service and the Hetch Hetchy Regional Water System, full of the RULES that must be followed when visiting the area. A thin veneer of civility over all the don’ts, cants and “prohibiteds” that tell the true character of this “cooperation.” We’ll it is literally “water over the dam” now as the dam was begun in 1914 and finished in 1934. We did wait for a sunset picture, but there really was nothing to photograph on this night. We explored a little by car as we left, but tonight we were too late to get the shots we got the night before. Back at the hotel, we were admitted to the dining room without waiting for a buffet dinner. (That seemed odd as the previous night there were no available tables). Turns out the resort was advised that the power would be cut because of a wildfire threatening power lines. How unlucky is that? We left Carmel early for a wildfire, and now here, too, we are contending with a wildfire? This one is 14 miles away. Friday morning, we planned for and executed an even earlier departure: Today we were in the car by 5 am. It was still dark but getting light quickly. What a difference an hour makes! 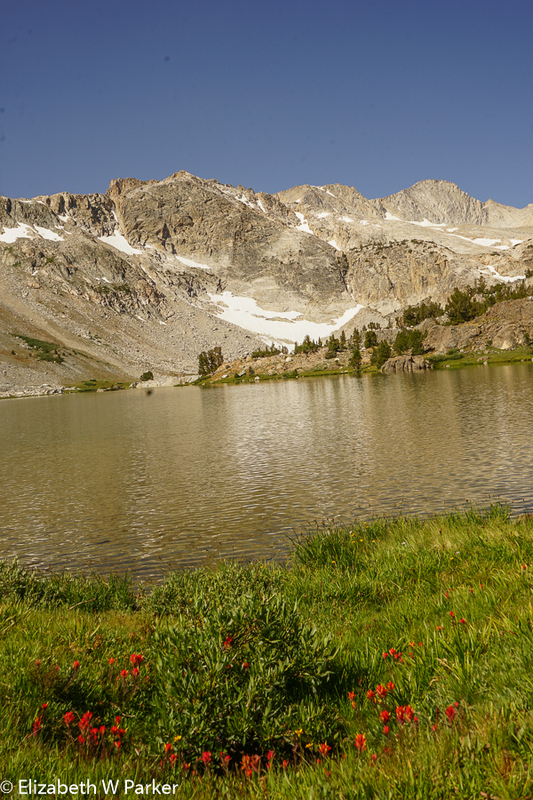 We’re planning to drive the Tioga Road again, but without stopping before Olmsted Point. We saw deer along the road: First a single deer crossed well in front of us, and then we saw two small deer climbing a ridge to the left. Other than ground squirrels and birds, these constitute our first animal sightings! Half Dome from Olmsted Point about 6:00 am. 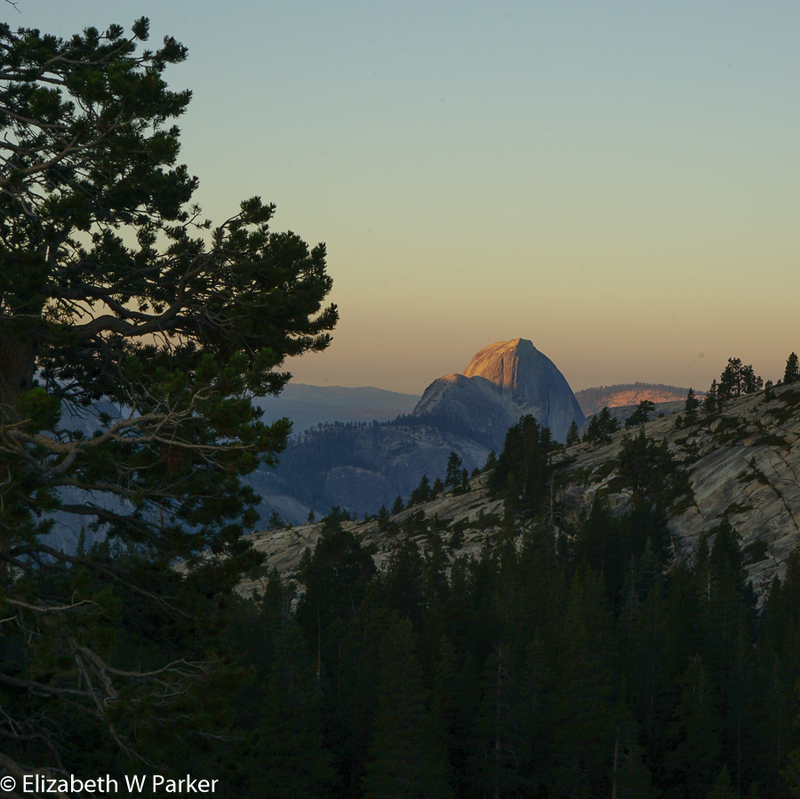 At Olmsted Point, we were greeted with a rosy glow on the Half Dome. Worth stopping again for a picture, but not our focus today. 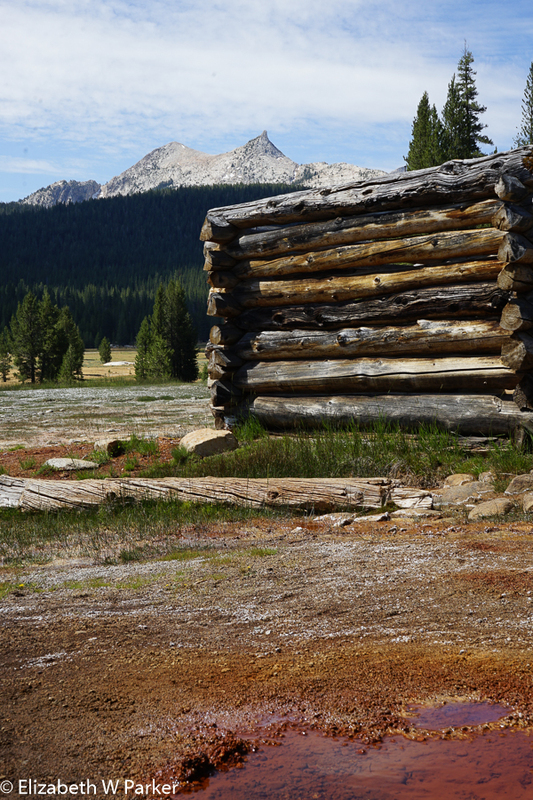 At Tuolumne Meadows we hoped for coffee – but not open yet. OH! But who is having breakfast here??? There is a herd of mule deer out in the meadow. There are several heavily antlers bucks, grazing both standing and lying in the grass. That there were does, too, I am imagining. They were pretty far away. I will have to examine my photos to see what the actual make-up of the herd was. There was more than one buck, so that in itself is unusual for me. We continued east after Tuolumne Meadows, now into “virgin” terrain for us. We are gaining elevation as we drive eastward. 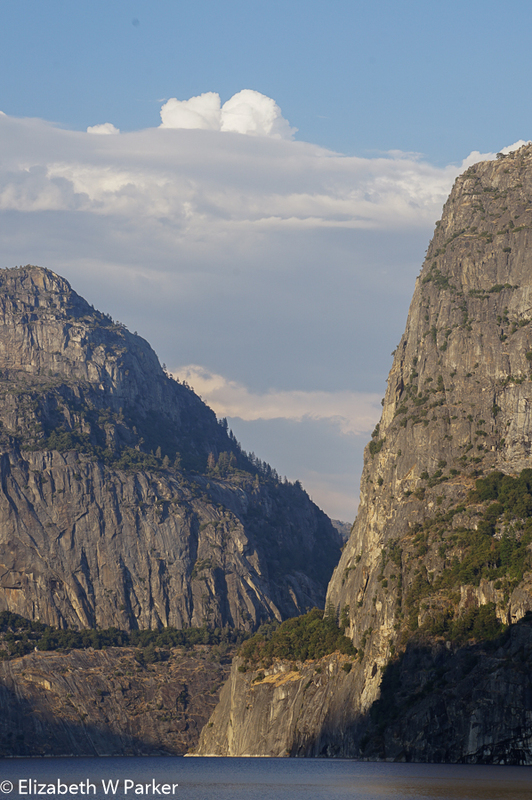 Yosemite is situated on the western side of the Sierra Nevada. We see more and more little lakes, tarns actually (mountain lakes or pools in depressions created by glaciers). They are crystal clear and reflect the snowy peaks in their glassy surfaces. It is cooler here, and we still see morning fog. There are alpine meadows filled with flowers and colorful sedges and mosses. We left Yosemite, exiting at the Tioga Pass Entrance. Now in the Inyo National Forest, we have Tioga Lake and Ellery Lake below us. We had breakfast at a resort called the Tioga Pass Resort. It was a very friendly and welcoming place, where we sat at the counter (on leather-topped stumps for stools!) and ate a good breakfast and drank nice hot coffee. Can you classify a hot-from-the-oven, fresh cranberry scone as desert? We did! We joined in an interesting discussion with the waitress and another patron about the changes in the Park, starting with the dismantling of all the gas stations and outdoor activity gear shops within park boundaries. Gas is an issue. There are very few gas stations now in the park, and the nearest ones are some distance away…we used one in the Park at the beginning of Tioga Road. The next closest one is 39 miles away – and it is in the park, too! I don’t know how far out of our way we would have to go to get gas if that station were not there. However, the Park does provide transportation all over the Park roads, so we could have used that, assuming we could find parking. (Believe me you won’t find parking if you enter the park during the peak hours of 10-3.) I just hope that if the gas stations are all closed and dismantled, there will be more parking set aside (perhaps near, but outside, the entrances) and the shuttle service expanded to the periphery areas. We also talked about Hetch Hetchy, and all agreed Muir was right: The dam destroyed some very beautiful land. Afterwards, we found the gravel road that would take us to Saddlebag Lake. In the dining room, the waitress recommended we take the water taxi to the other side of Saddlebag Lake and spend some time walking there. That’s what we did! As I said, this is now the Inyo National Forest. The rules are a little different. There is a family business right at the edge of the lake. The water taxi is theirs, as well as a boat rental, coffee shop and convenience store. Handy, but not exactly picturesque, which perhaps is why the water taxi takes you to the other side. You can also walk easily around the lake if you prefer. It doesn’t look very scenic, but perhaps up close it is more interesting than it looked from the boat. The water taxi runs on a schedule. When you buy a round trip ticket you also have to specify when you want to come back. Not knowing what is over there, nor how long it will take you to do what you want to do (there is great hiking), that’s a little tricky, but the young men who were driving the taxi for our group said they are flexible with the returns. The ride across the lake is very pretty. Before you rise tall jagged peaks, snow gracing their flanks. The notables for this landscape are White Mountain, Mount Conness, and North Peak making a bowl around you. Mount Conness is named after John Conness, a US senator from California who was a principal agent in the creation of Yosemite National Park. Here we are at 10,500 ft. These mountains are 12, 000 – 14,000 feet high. The air is nice and cool, there is a tiny breeze. Both are helpful because there is also bright sunshine. We took a walk of just about two hours. We timed ourselves going, and turned around at the half-way-plus point time-wise. It was 9:30 am when we started so we didn’t have much company. From the water taxi, the passengers scattered to different routes. There are lots and lots of hikes up here, but the main route is a loop that takes about 3 hours. We were going to walk just the last part of the loop, going against the foot traffic – had there been any. Here we are really in an alpine environment. There are little lakes dotting the valley, snow tipped peaks mirrored in the clear water. Flowers are everywhere – and in such variety. Some I recognized, most I didn’t. Pink, purple, blue and orange, white, yellow and red all are in abundance. They were mostly little flowers, some so tiny that a violet would be like a purple iris in comparison. The rocks too were varied. The tall peaks are a grey-white granite, but a long streak of red-brown shale marks the flow of long ago lava. 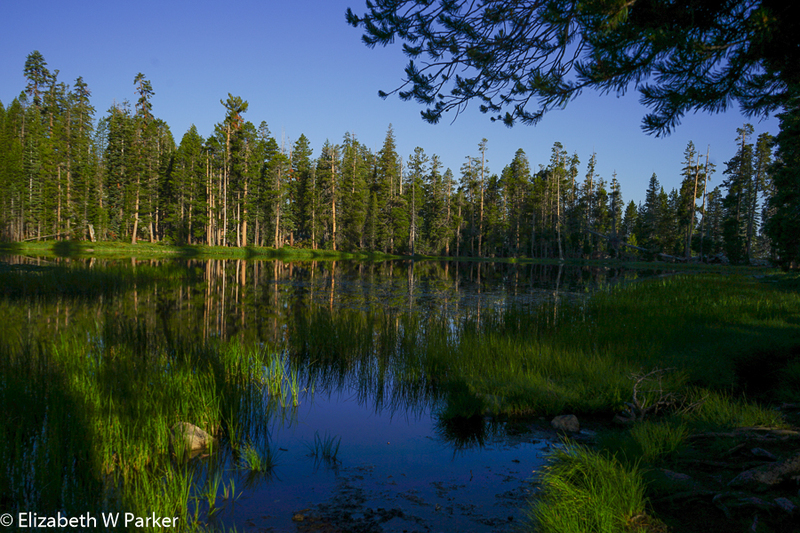 There aren’t many trees – does that signify “meadow”? After our excursion at Saddlebag Lake, we had to cross the Park again to get back to the hotel for lunch and a nap. It was just after 1 in the afternoon. The line to pass through the entrance station into the park was well over a mile long, and covered two-lanes. We flashed my Senior Lifetime Pass and got to go through the express lane! Yeah for old age! Still the drive across was over an hour though inside the Park, the traffic was moving fairly well. The speed limit is 40 mph. It is a blessing – slow enough to still take in the scenery without being a menace to other drivers and walkers. I love the lips in this one! A kiss goodbye? Again, the Toulumne Grove parking lot was over-flowing, so we put off visiting the giant trees again. We will have time tomorrow morning. After our nap, the goal is to visit the viewpoints touted as sunset venues for photos. That means we are headed back to the Valley. My relationship with the Valley was complicated. Initially I scorned it as a tourist trap and really had very little interest in going there. 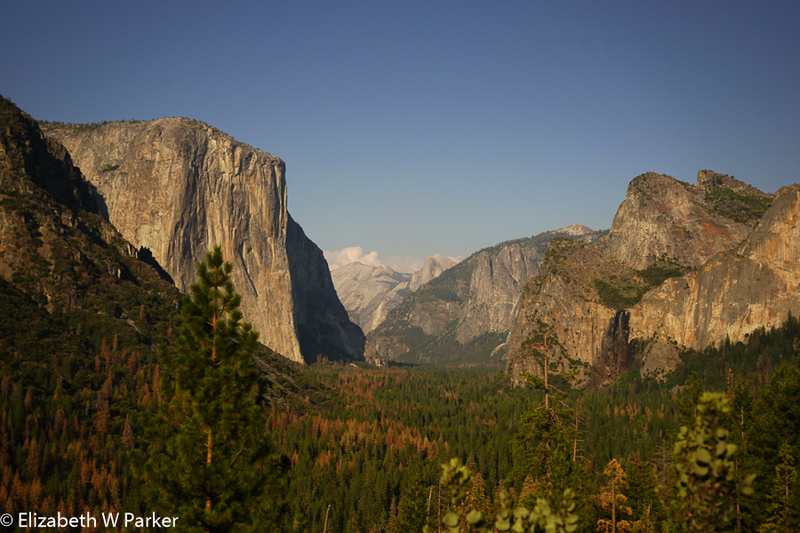 That was before I got to Yosemite…and before I read John Muir’s description of the Valley. It has tourist shops and restaurants and hotels, but there is no “town” atmosphere. These are clearly services for the visitors and not cheap commercialization and exploitation of them. And the Valley is truly a wonder of nature. It is not difficult to see what Muir found so intoxicating about it…and as it is not the middle of the day, but late afternoon, the hoards of visitors are already off worrying about cocktail hour or dinner. You won’t have the place to yourself, but you will most likely share it with others who are trying to appreciate it in the same way you are, possibly with a camera and tripod. We visited the famous view point, Tunnel View. There were lots of people taking pictures, but since the view is the only thing happening here, most of them take their pictures and move on to the next thing. The view from here gave us a picture of the Valley that we have not had yet, firsthand. It is probably the most famous view of the Valley by far. The first day we drove in and went straight to the Valley, surprised by the giant rocks looking down on us once we were right under them. To get to Tunnel View, you have to be coming from a southern route, or, as was our case on this day, you have to go a short way into the Valley and then go back out by another route. 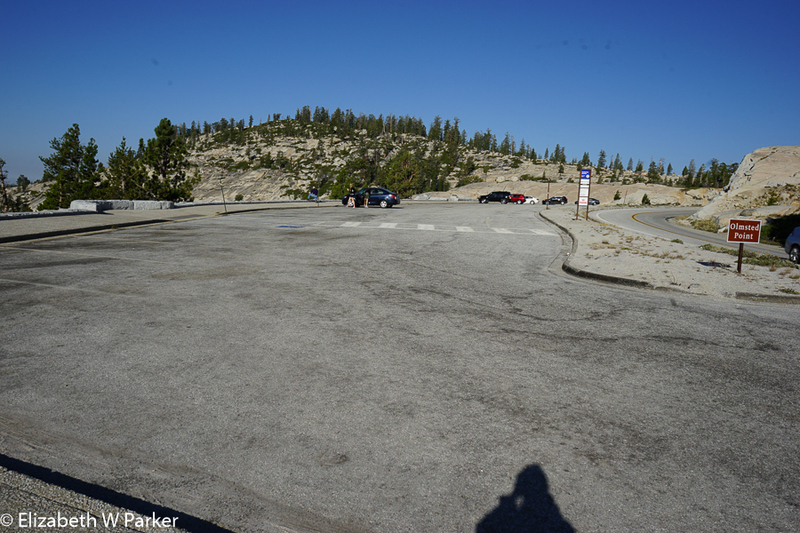 (If you are exploring the areas to the south of the Valley (Glacier Point Road), it will be the road that takes you into the Valley from there. Tunnel View allowed us to see the line-up of the big geological features as a whole. We could not see into the valley between these monoliths, but we could certainly tell that there was a valley. 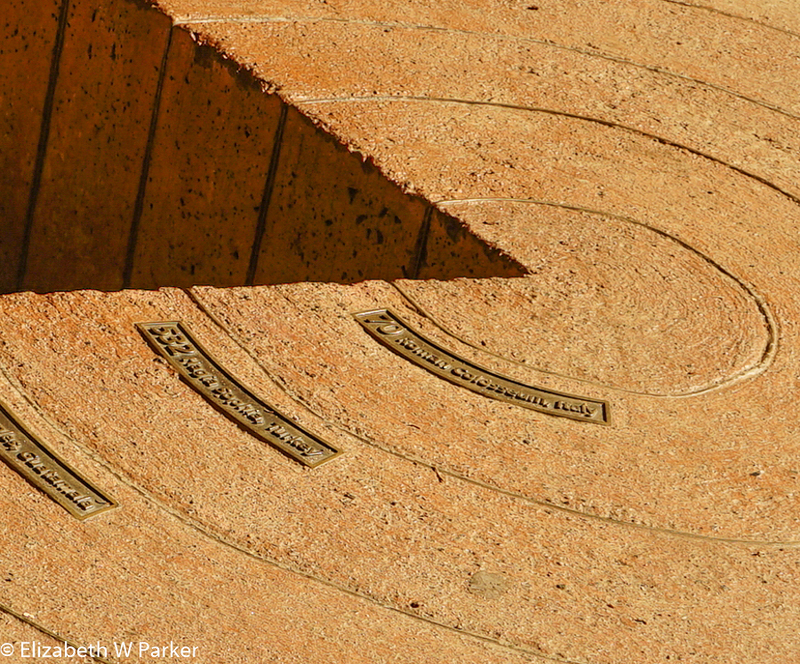 Can you imagine the soldiers who were the first non-natives to venture here? How awed must they have been when they saw those mountains? What must they have anticipated finding? From here we headed to a recommended spot to set up and watch for the sunset on Half Done. The spot was on the Sentinel Bridge, looking eastward. Half Dome was reflected in the water of the famous Merced River, the carver of the Yosemite Valley. We were joined by other photographers while we waited. The camaraderie that we have felt all over the Park was here in full force, too. We got no names nor made lifelong friends, but for the hour or so we were all there, we shared the beauty and the wonder of this landscape as we told stories and talked gear. The Hetch Hetchy discussion came back up that evening. Another photographer commented that what was destroyed by the dam must have been incredible…the evidence of the “twin valley” Yosemite Valley was all around us. We got our photos, and then got a treat! We had dinner at the Ahwahnee Hotel. You’re right – it is now called “The Majestic Yosemite Hotel” thanks to a spat with the former concessionaire. I will be curious to see if the new name sticks. Just to be contrary (not to take sides!) it is the Ahwahnee for me, a name it was given back in 1927. Looking into the common room of the Ahwahnee Hotel. This is a huge throwback to another time, another era. With a little imagination, you can take yourself there. The dining room is magnificent. The room is two stories high, built of stone and logs. The windows, also very tall, look out onto forest (on our side), but the life of the place is inside the room. There are many, many tables – all sizes, for all size parties. You can easily see that the table set for 16 is a family reunion, while ours, for 2, was a romantic dinner… The dining room has a dress code (I am not sure exactly why I was deemed compliant, but thankfully they didn’t send us home without service. Shorts and tank tops for men are not acceptable. I fortunately had a blouse with knee length shorts, and that was acceptable…most women were far more dressed up than I. We had a delicious dinner, and a fun evening with the wait staff of our table. An international crew, they were lots of fun to talk to, and surprisingly, not seasonal employees. In fact, they were long term employees – long, like 10 years. 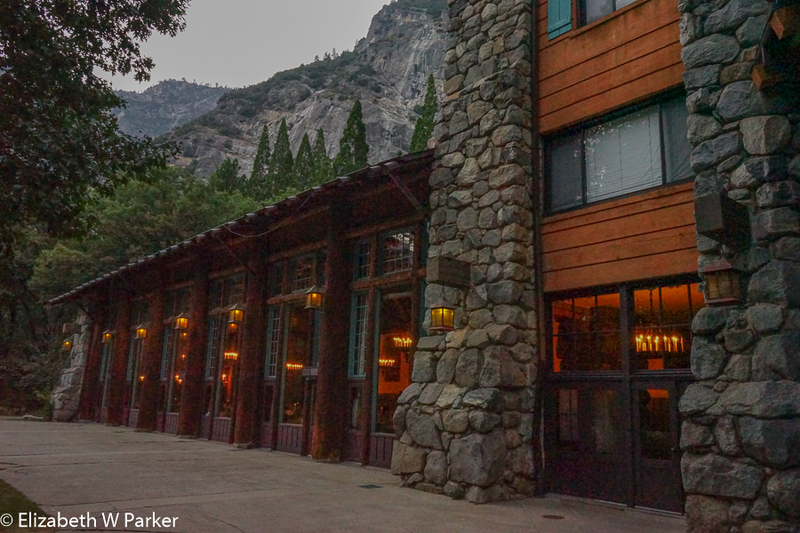 In anticipation of the visit, I read Nevada Barr’s High Country, a mystery set at Yosemite in which the protagonist works as a waitress in the Ahwahnee dining room. That made it even more fun to go there and imagine the book’s characters and their existence as Park employees. After dinner, it was back again to our digs at the Rush Creek Lodge (next time I go I am staying at the Ahwahnee – I hope the rooms are nice!). Our final morning at Yosemite, dawned and I reluctantly faced the reality that my time in this wonderful place was coming to an end physically. My last hurrah with the park was to visit the Tuolumne Grove. It was just a hop, skip and a jump back inside the park from our hotel, and being early morning there was plenty of parking. The walk is about 2 miles in total. It surprised me that the “grove” is meant literally. You actually walk through the woods, basically downwards, to a place where there is a grove of 25 giant Sequoias. They are not the only inhabitants of the grove; there are plenty of other trees here, too, and some other very large trees. At first I was worried that I would not be able to identify the sequoias. The thought makes me chuckle now! You really cannot miss them! They are, indeed, giants. It is fun to find the trunk, the base of roots into the soil, and then run your eyes up and up and up until you find the crown. These graceful trees taper from their sturdy bases to their lofty crowns, sometimes well over 200 feet above the ground. And they are old! Most of this grove probably dates from the last millennium, if not the one before. John Muir also has a chapter in his Yosemite book on the trees. Did you know that when they fall they create a trench in the earth? And, just as they are durable living beings, they are durable when dead, too. Trees found growing in or on a fallen sequoia have been dated as several hundred years old. I shant bore you with details about the sequoias, but do look them up. I am sure you will agree that these trees are worth saving and protecting. There are three groves in the Park. The second grove is the Merced Grove (right near here). The largest grove is the famous Mariposa Grove, but it is closed this year to visitors. It is near the South Entrance. 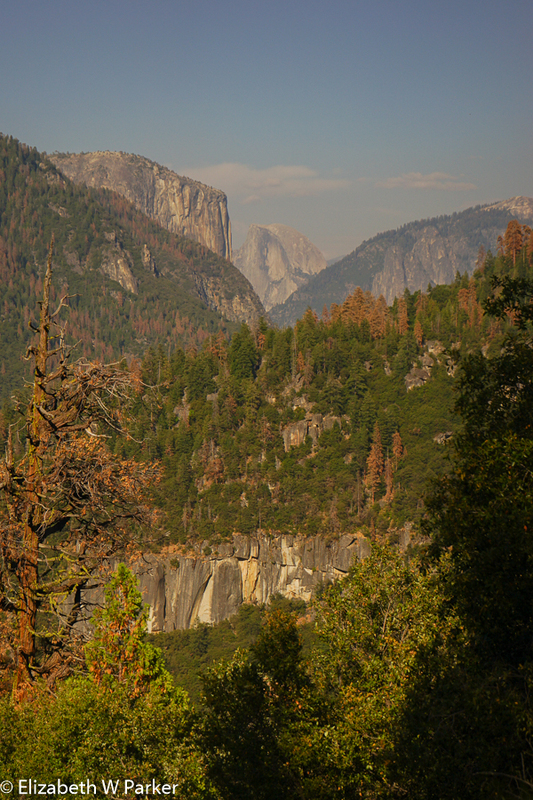 As I reread and write this account today, I realize that I have yet to leave Yosemite emotionally. I can still see the trees, I still marvel at the domes and rocks, I yearn to return. 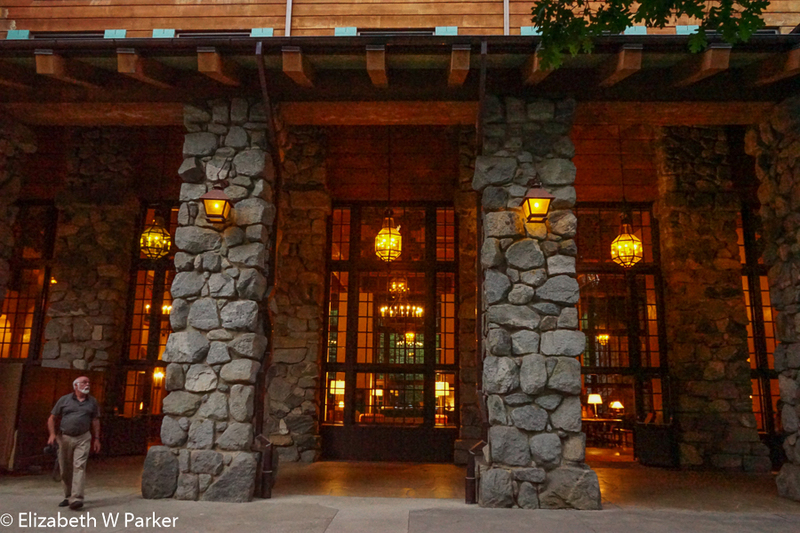 Now that I know my way around a little, I know I need to go back not just to experience the Ahwahnee as a guest (!) but also to explore much further on foot. There is so much hiking in the park. Yes, I am afraid of the bears and the mountain lions, but I also want to really see Yosemite. I don’t want to just look at it from a car. I want to get out and get into the landscapes. I want to see the animals and the falls and the flowers. I want to see it at different times of the year, too! I cannot wait to go back. Before I leave this journal completely, there is just a little more to tell. 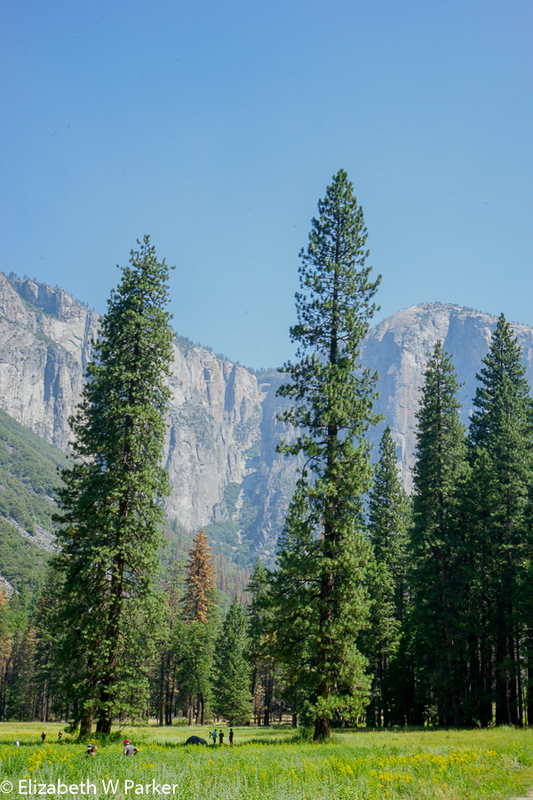 From the Tuolumne Grove, we returned to our hotel to pick up our stuff and check out. Then we headed west toward San Francisco. We would fly home from there the following day. Before leaving the Stanislaus National Forest, we stopped for a last look at a place called “the Rim of the World.” It does indeed feel like you are standing on the rim of the world when see how everything seems to stretch before you to infinity. It was here that I discovered the reason for all the burned trees we had seen as we drove back and forth from our hotel to the Park. 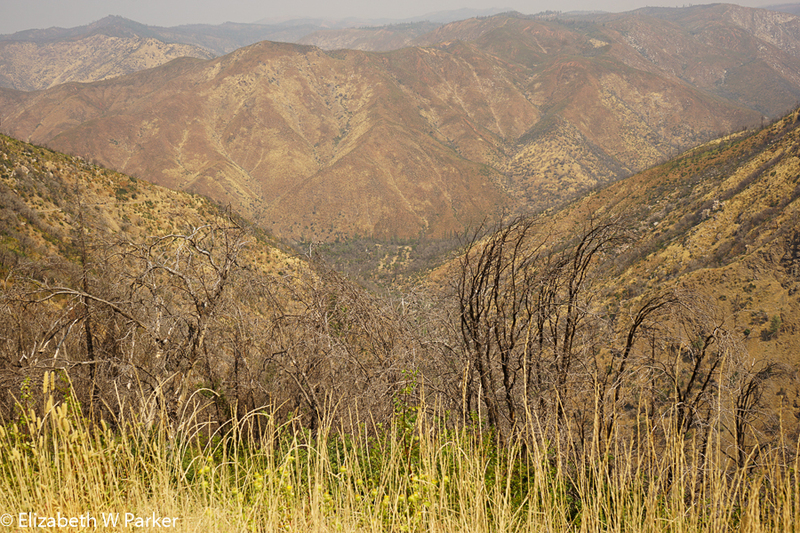 The mountains burned by the Rim Fire of 2103. It has yet to recover. Though fire is an important component of the forest’s health, out of control wildfires set accidentally because of carelessness is not the way to get the job done, especially when suppression of fires over decades has produced a overabundance of fuel that a drought only makes that much more combustible. In the picture above, which I should you earlier, you can see that the ground plants are coming back. The trees will recover, but probably for this generation, these black trees will be a reminder of the consequences of carelessness.